"The Web education phenomenon has hit a rough patch of late. After massive open online courses, or MOOCs as they're awkwardly called, lured tens of millions of dollars in venture funding and millions of users over the past two years, the dream of bringing a quality virtual education to anyone, anywhere isn't quite working out as planned. Even Sebastian Thrun, the online education pioneer and founder of Udacity, told Fast Company in November that he's helped develop a 'lousy product' because so few students finish the digital courses." Do teaching models in higher education need reinventing? "Michael Barber, chief education adviser of the world's largest education firm, Pearson, has been reported saying middle–ranking UK universities could face extinction within the next 10 years if they don't find a way to 'mark themselves out of the crowd'. He said the traditional lecture model is outdated and remarked it was pointless for 100 universities to develop the same courses when 'the best professors are making their course available for free'. If it's not just universities that face extinction, but university lectures too, is it time to rethink the way academics teach in universities? How do lecturers now see their role in higher education? 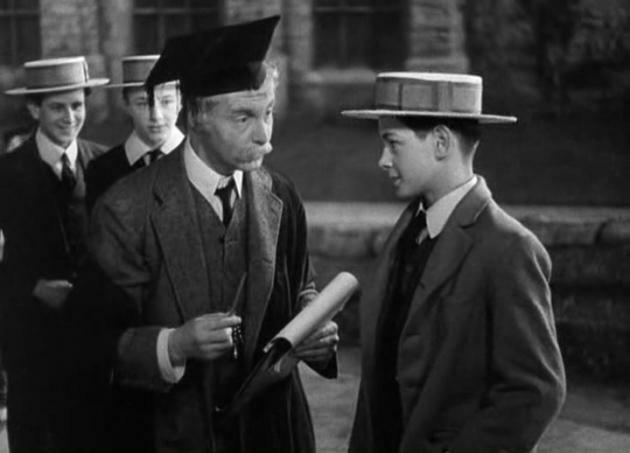 And what do they think is the teaching model of the future?" "An industry at the brink of transformation: The education industry is at the brink of an IT–enabled transformation. This transformation is driven by a demand for quality education that outstrips supply especially in the growth markets, misalignment between education and employment needs, and impatience with inefficiencies of education systems. For example, the government of Brazil is already funding students to go abroad because of a shortage of education infrastructure and quality educators. If growth continues to follow the existing trajectory, India will need about 800 more traditional universities than current levels today of about 350 universities. Today, the most talked about application of technology to address these gaps is the advent of Massive Open Online Courses, or MOOC, which are growing rapidly. 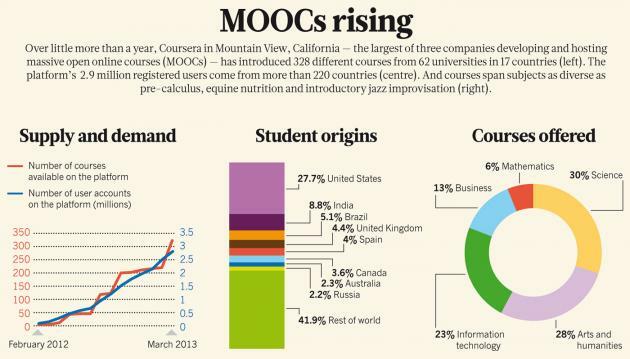 Several startups have emerged including Udacity, Khan Academy and Coursera, with millions of students enrolled across hundreåds of countries. Large amounts of new data are being created, which thus far is untapped for its potential. What is Personalized Education: Education today is mainly delivered on a one size fits all basis. This is a key cause of the poor quality and inefficiencies associated with the industry. Educational institutions can learn from healthcare by drawing the parallels of doctors to educators, patients to learners, medicine/treatment to courses/learning, and payers to education loan providers. From a technology point of view, the use of electronic health data to form patient records, derive evidence, and provide patient–centric personalized healthcare can be extended to education, with the formulation of digital student records helping to inform and provide personalized learning pathways based on the capabilities of the learner and the desired outcomes. Implications for the industry: The education industry is ripe for innovation, as new business models are instantiated on the emerging new sources of data, in particular the longitudinal learning data (tracking student information over multiple years in multiple schools). Predictive and prescriptive analytics will be applied to improve outcomes and efficiency. Clustering learners into groups, assigning new learners to existing clusters, identifying when a learner is deviating from a particular path are some possible outcomes. Prescriptive analytics would identify personalized learning pathways, track progress, and provide feedback to ultimately improve timely graduations and employability. Combined with industry demand data, supply estimates could be provided and targeted courses created with intakes tweaked to meet estimated demand. What will it take to succeed? : Ultimately there are many stakeholders who will be involved in improving education. This includes academic institutions, state education departments, students, learning management systems (LMS) and MOOC providers, government social service agencies and corporations. In order to achieve their often–shared goals, particularly to improve graduation and employment rates, they'll need to come together to create an open platform for sharing this data and insights from the analytics." Wednesday, 5 February 2014, Utrecht School of the Arts (HKU) at Hilversum (http://interaction14.ixda.org/venues/). "At a moment in time where everybody and everything is constantly interacting – through the use of networks, apps, products, media and services – educating students to design these interactions is not only needed, but also a fundamental challenge. Rapid developments in society and technology put increasingly high demands on the knowledge and skills of future interaction designers. Challenging traditional institutions, some companies have started programs for in–house training. At the same time, alternative educational platforms – such as edX, Udacity and Interaction–Design.org – are offering open access to high–level learning materials. To successfully address these developments, interaction design education might need to reinvent itself." "In the fall of 2011 Peter Norvig taught a class with Sebastian Thrun on artificial intelligence at Stanford attended by 175 students in situ –– and over 100,000 via an interactive webcast. He shares what he learned about teaching to a global classroom."